Facebook is one of the most known social media platforms today. 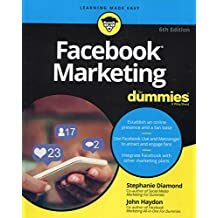 Taking this advantage, this new book from Dummies series says, “Add Facebook to your marketing plan and watch your sales grow.” In this latest edition, the authors try to highlight the new tools and features of Facebook useful to marketers. Marketers can use Facebook strategies to establish social media presence, brand awareness campaigns, specific audience targeting along with other marketing strategies. The book is found to be easy to beginners and useful to those experts already in social media marketing. You can reach your marketing messages or product promotions to 2.3 billions of customers instantly on Facebook. This book explains the step-by-step guidelines about social media advertising for online marketers. Learn to select your marketing objective, target the right audience and create perfect ads to connect with them. A complete guide to set up your Facebook account, to run your ad campaigns and to get the highest target audience from Facebook and Instagram. 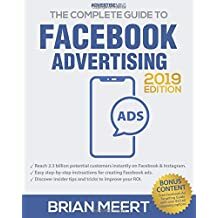 If you want to improve visibility and traffic and also want to advertise on Facebook for best results, this book explains the great strategies for you to follow. Develop a strong online presence and get the most out of Facebook with this new book. Reach millions of the hungriest people you want to offer your products and services using the fresh new techniques in this guide. Minimize your efforts and expenses, and maximize the results you want to achieve. Learn to optimize your Facebook Page, the best strategies to dramatically increase your presence, identify and target the right audience, engage and keep them hungry for more. 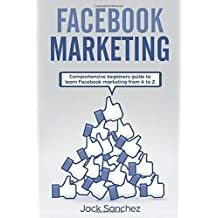 This book is not just for marketing on Facebook and other social media platforms; it is one of the best marketing books as a whole. 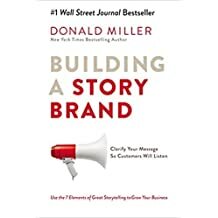 New York Times best selling author Donald Miller teaches you 7 elements of powerful stories about how to connect with customers and grow your business. This book with a revolutionary method reveals the secret for you to help the customers understand the compelling benefits of your products, services and ideas. By using the secret, all humans respond to you and they make purchases. Learn to make people understand your brand messages easily and create the most effective messaging for your websites, social media and brochures. May be you are a multi-billion dollar company, a small business owner, a politician or a writer, this book is for you. Statistics say that Facebook is a home of 400 million visitors everyday. So, it is an effective marketing space to expand your audience for your business and services. It helps local businesses and products maximize the reach of prospects more and more each and everyday. So, without Facebook the visibility of your business or messages loses easily amidst the competition. Above all, Facebook brings much more familiarity and reliability among users. This book gives a comprehensive marketing guide to beginners. 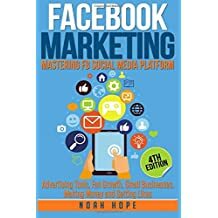 In this new book, Noa Hope tries to expand web presence with Facebook marketing for your business. Now, Facebook marketing is an effective way to promote your company and to build an online community to grow your business. The author teaches you to know your market and understand the people and what they want on Facebook. The book gives special attention to use Facebook Business Manager and other tools. You’ll also learn how to leverage Call to Action button and other Facebook features for effectively promoting your business. As you might know, Perry Marshall is the author of the No. 1 best selling book on Google AdWords. 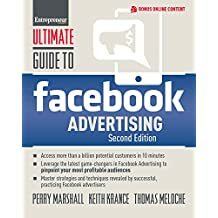 He teams up Facebook Advertising specialists Keith Krance and Thomas Meloche to produce this new bestseller book. Read this book and know the techniques how to find the targeted audiences, how to reach them, convert them, and keep them as your customers for life. If you are a small business, Facebook can be your best friend to find new buyers, promote your brand and increase your site traffic. 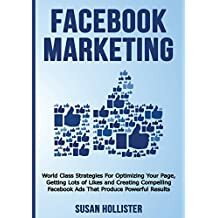 In this book, the author teaches you how to apply marketing techniques to Facebook users to convert them into sales. You’ll learn step-by-step marketing instructions and success stories in this book. Facebook is one of the most popular social media site. Facebook owns WhatsApp, Facebook Messenger and Instagram. The combined users of them are 3.79 billion. The book explains tips and strategies to access all these users for your business. You’ll learn to use a large number of tools, strategies and techniques from the Facebook marketing guru. You’ll also learn Facebook marketing mistakes, new Facebook features in 2016, Facebook video marketing, secret targeting techniques in Facebook advertising and more. In this new book, you’ll learn expert tips from Scott Monty, Gideon Shalwick, Kevin Davis, Charles Kirkland, Rocco Alberto Baldassarre, Claudia Araujo etc. 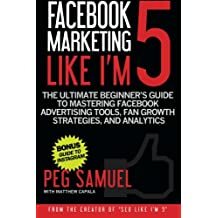 A highly recommended book for Facebook marketers! Another best book you should read if you want to get results from Facebook marketing! After reading the book, you will get a roadmap to success from the two marketing experts. Read real world case studies and examples from successful Facebook marketers. This new book includes lots of screenshots, templates, worksheets and step-by-step guides to make it easy to learn. This book will be very useful to business owners, entrepreneurs, startups, celebrities, authors, bloggers, and social media students. A highly recommended and must-read! If you want to comment on the Facebook marketing book list and about the book you’ve read, leave us your valuable comments below. Check the following books written by experienced authors. 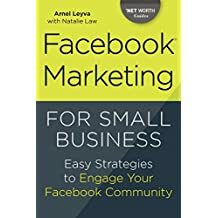 Read these best Facebook marketing books and build huge traffic on your website. These highly recommended books will be very helpful for your social media strategies. Now, you can use Facebook as a trusted traffic source like Google, Bing, Yahoo etc. Thanks for the sharing this useful information. It will help people to improve their marketing skills on social media. Thank you for sharing this list of books. 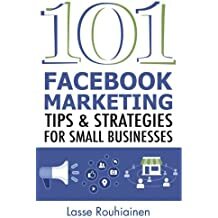 I’m planning to buy the 101 Facebook Marketing Tips.